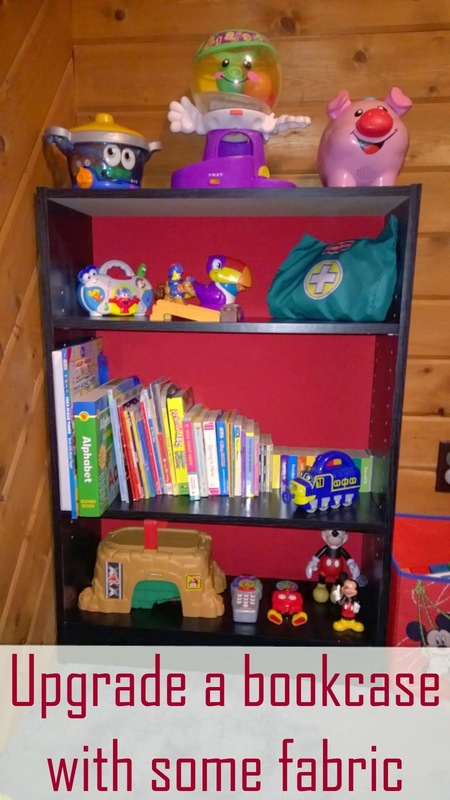 The other day I decided to get rid of Mason's toy box and get him a bookcase instead. 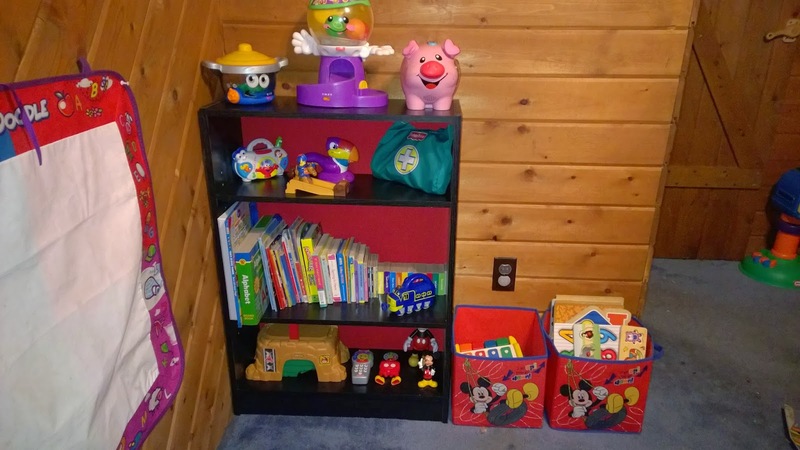 He has built in shelves behind his toy with most of his toys on that so his toy box was practically empty besides the books and toys on top. 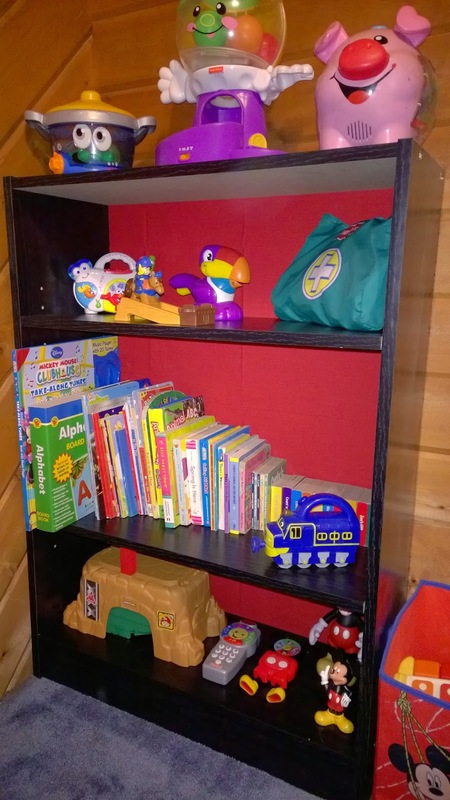 Before putting the bookcase together completely I decided to give it a little upgrade. I just found some fabric in my stash that went with his room colors. I laid out the cardboard back piece over the fabric. I stretched it tight and used some box tape to attach it when I wrapped it around the cardboard. Then I nailed the cardboard piece to the bookcase. 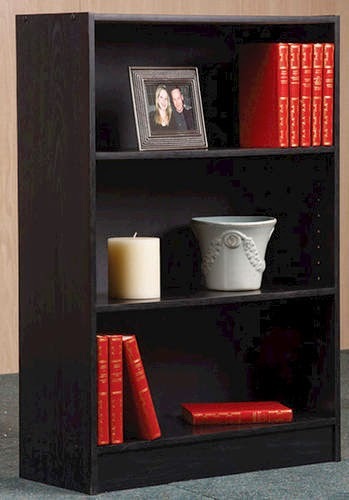 Quick easy and fun upgrade to a simple $17 bookcase.